The storm in Angelina County, Texas, claimed the lives of two children. Severe storms in the South claimed the lives of two young children in Texas after a tree crashed down on a car they were in, police said on Saturday evening. 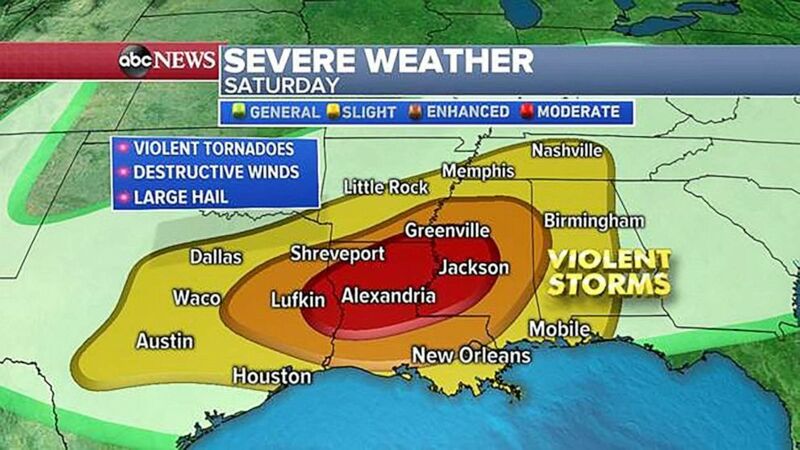 Very dangerous weather was expected in Louisiana, Arkansas and Mississippi this weekend. 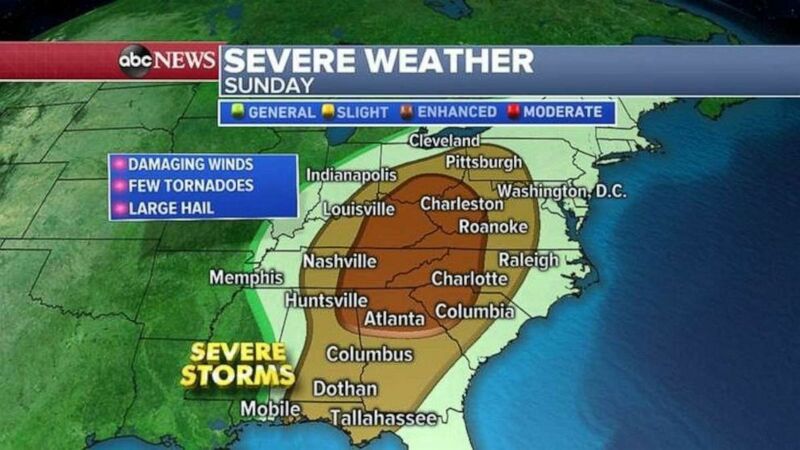 The severe weather outbreak already began Saturday morning in parts of the South with reports of large hail in Texas, Louisiana and Mississippi. 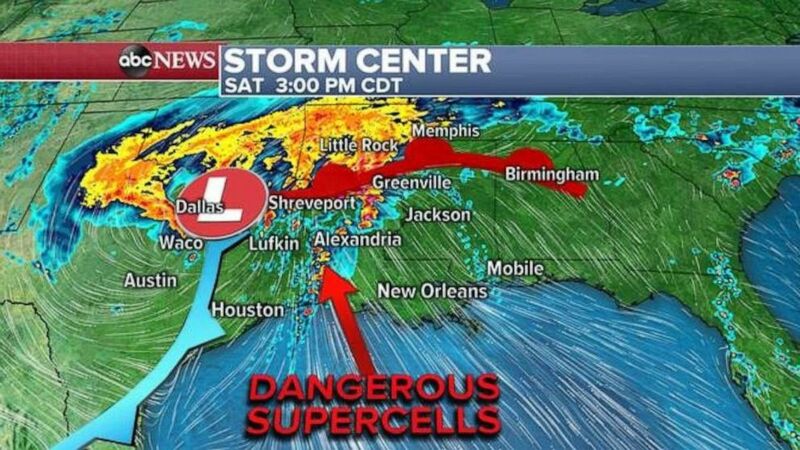 The National Weather Service reported new storms organized Saturday morning that moved across Texas and continued to present dangerous conditions throughout the evening and into the overnight hours. There was a confirmed EF-3 tornado with winds up to 140 mph during the afternoon in Robertson County, Texas. 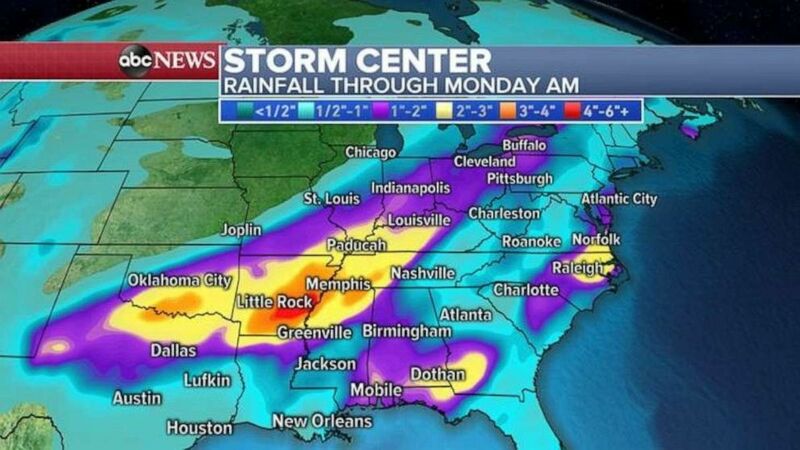 At least five tornadoes were reported throughout Louisiana, Mississippi and Texas. Around 2:15 p.m., the Angelina County Sheriff's Department in east Texas received a call about a tree that fell on a car where two children aged 3- and 8-years-old were trapped in the back seat. A rescue team with the local fire departments were able to remove the kids, but they were pronounced deceased on the scene, police said. Monroe County, Mississippi, Fire Coordinator Terry Tucker said two people had also died in Hamilton, Mississippi, but no further details were available. He said there were also multiple injuries and several damaged homes and businesses in the small town. According to Alto Police Chief Jeremy Jackson, over two dozen injuries were reported and "a lot" of homes were flattened, ABC affiliate KTRE reported. Flood alerts were also being issued for parts of the southern U.S. due to torrential rainfall that will continue overnight into Sunday. 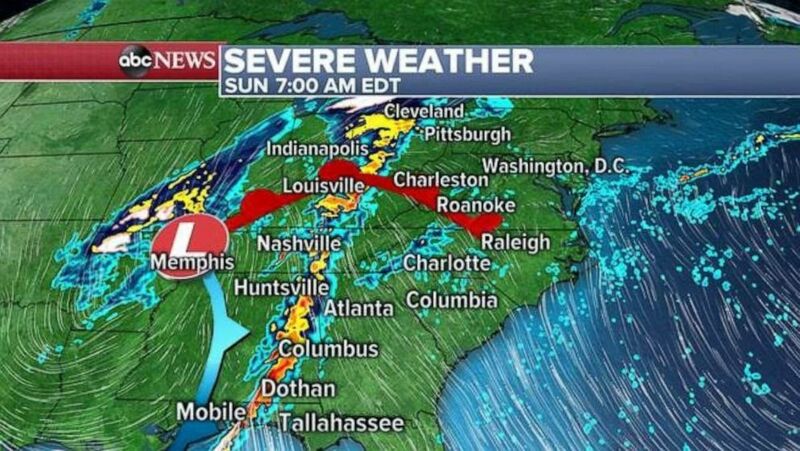 (ABC News) Violent tornadoes, destructive winds and large hail are all possible from eastern Texas through Louisiana and Mississippi.